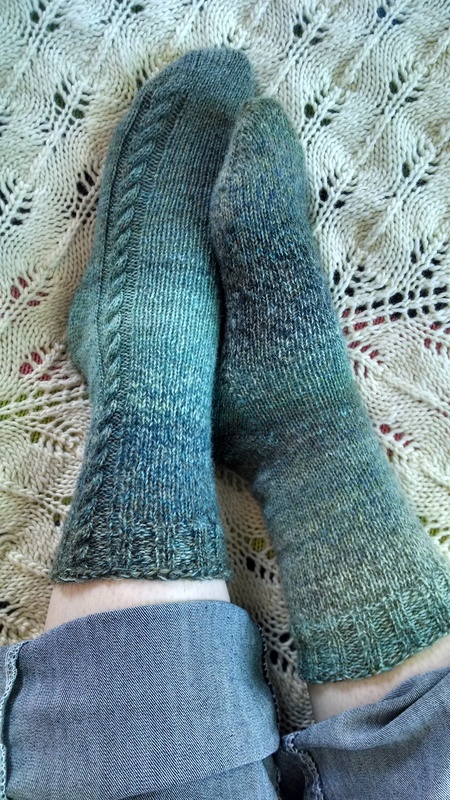 This entry was posted in knitting, spinning, Uncategorized and tagged fiber arts, fiber arts friday, fo friday, handspun, sock knitting, socks. Bookmark the permalink. 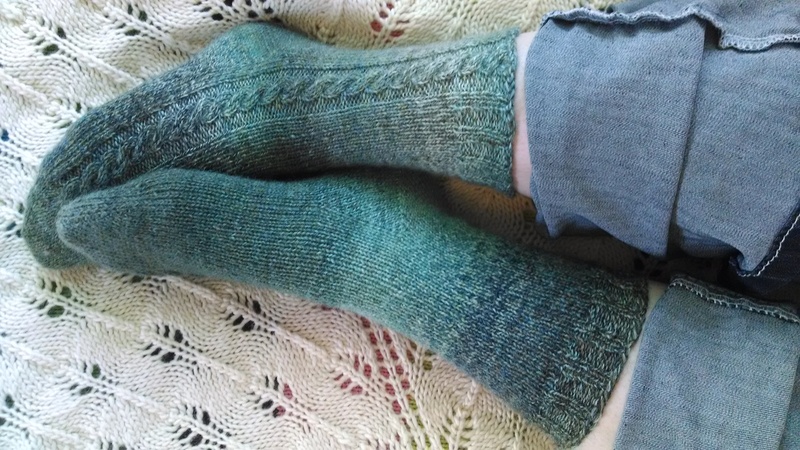 I love socks and those are gorgeous! Do you knit some elastic in them so they’ll stay up? I don’t knit elastic into them, no; they’re pretty well fitted, though, and some stitch patterns are more stretchy than others (like the ribbing), which helps, too. I don’t have too much trouble with them falling down, actually. Doing a real 3-ply like this really helps make the finished yarn much more even than any of the plies are by themselves. The socks are lovely 🙂 What are they resting on; it looks like a very pretty project as well. Drools! 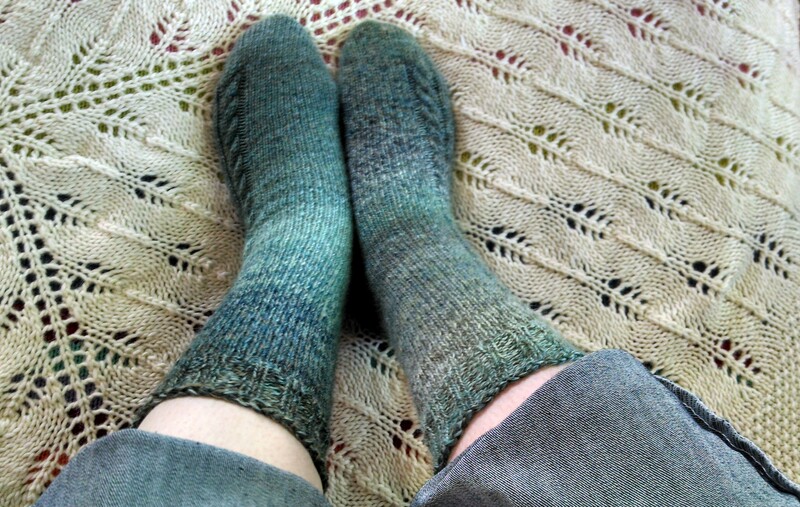 I love these socks and more so knowing that you used handspun. Some day I hope to know how to do some of this! They are so great looking! You can learn it, for sure, Sheila! And thanks! Gorgeous work! I love the soft tones of the yarn, and I like that the colors don’t distract from the nice cable. Thanks! 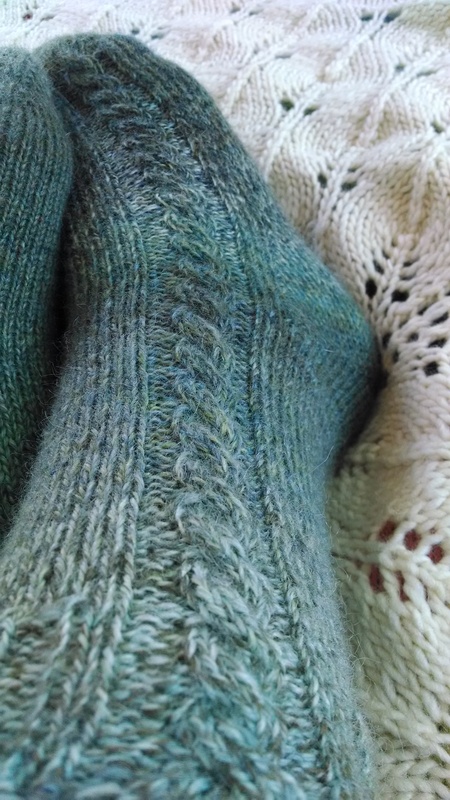 That’s precisely why I knit these toe up, but I ended up having enough yarn I needn’t have worried about it. The arch is too tight on my toe-up socks so far, though; need to figure out how best to accommodate my high arches when working toe-up.